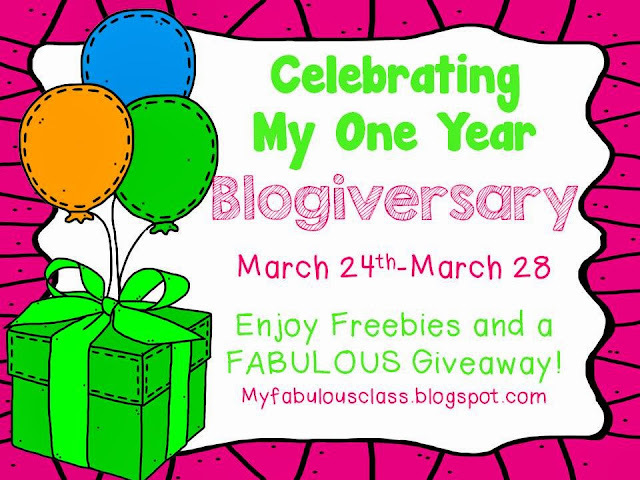 My Fabulous Class: One Year Blogiversary- Freebies and a Giveaway!!! Guess what? On Friday it will have been one year since I started blogging!!! I am so excited, I want to CELEBRATE!!! Everyday this week, I will post a freebie, but get it while you can, because 4 of the freebies are only available THIS WEEK! You can also enter to win fabulous products from my store. Five lucky winners will win $6 to spend at my store. Three lucky winners will win $10 worth of products. One Grand prize winner will win $25 worth of products!!!! 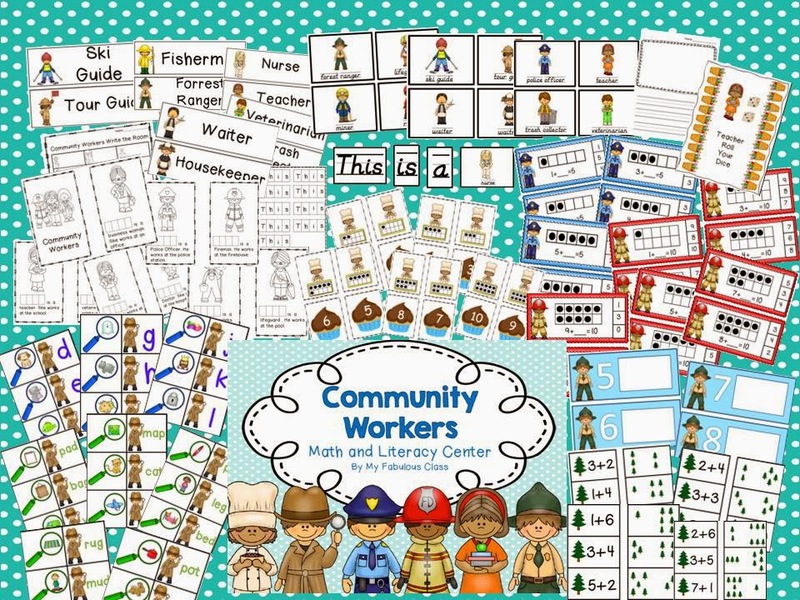 For today's freebie, I am giving away a game from my Community Workers Math and Literacy Unit. You can get the Detective, Find That Sound FREE HERE. UPDATE: This freebie is no longer available. You must purchase the entire unit. 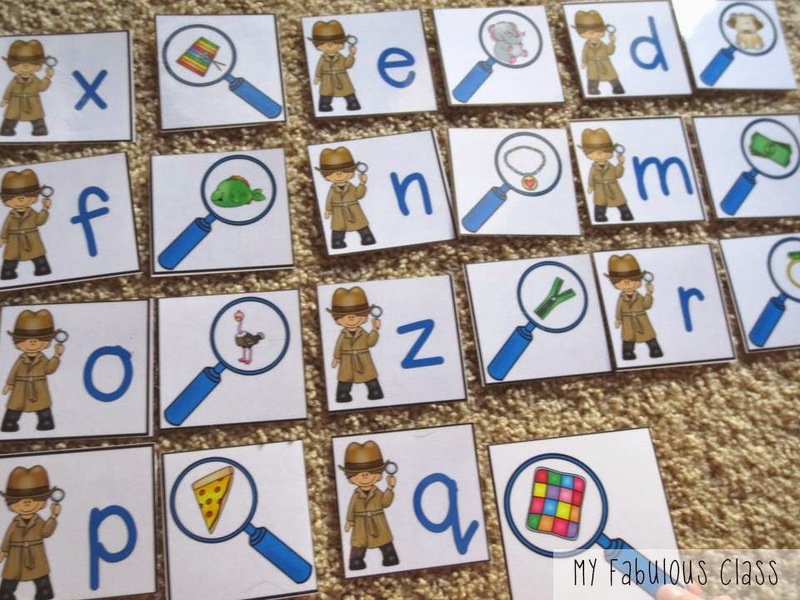 Your kids will have a blast helping the detective match the beginning sound to the letter. 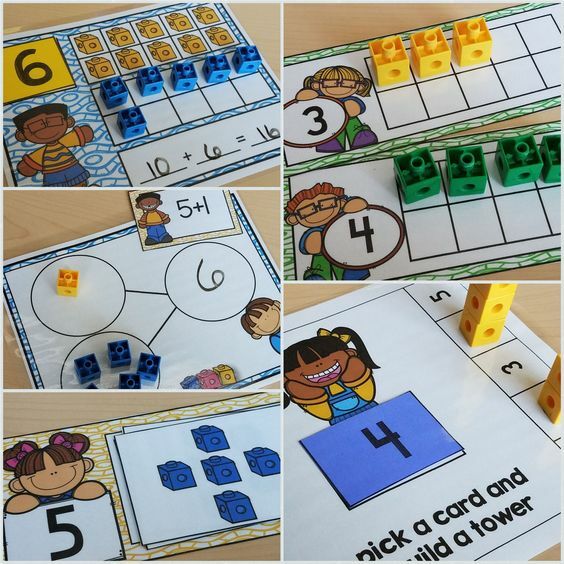 If you are interested in the entire unit, click on the picture below! 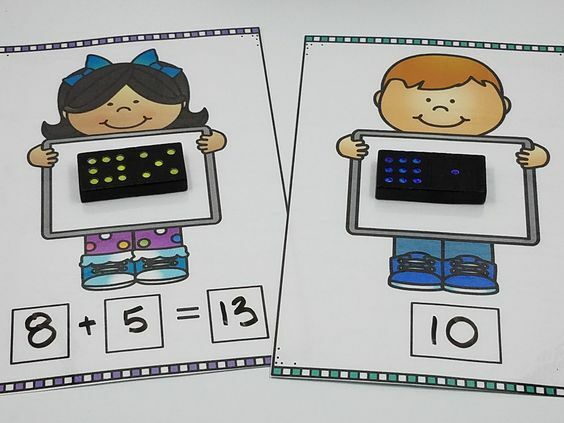 Tomorrow, I will be giving away something from my Number 2 Best Seller- Year Round Domino Centers. 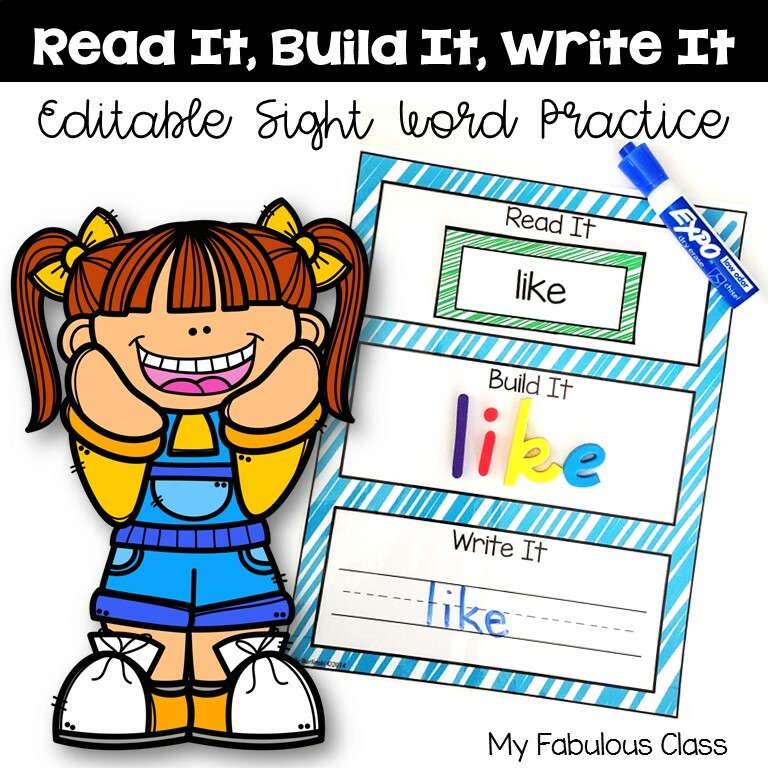 I am giving this pack a HUGE makeover and you can get a FREE sneak peak tomorrow. I love the freebie! Thank you so much! Congratulations on your blogiversary!!! Thank you! 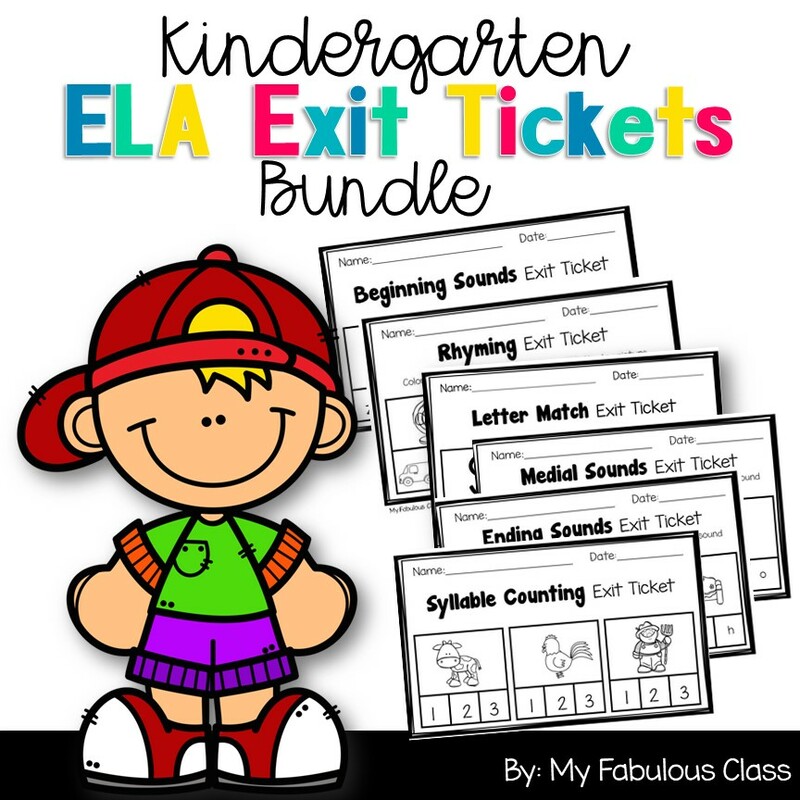 Hope you enjoy the freebie.